Tab-Ex 01 Android atex tablet for hazardous Zone 1 and Division 1 locations. Extending fieldworker capability, utilising the full range of Android applications across oil and energy, utilities and chemical industries. Leading the way in mobility, extending what is possible across hazardous areas. Tab-Ex 01 atex tablet, brings new customer focused solutions and improved ease of use across hazardous zone 1, division 1 locations. High-speed wireless network infrastructure, connecting people, data and machines. Instant Push-to-Talk voice and messaging collaboration for teams connecting workforces. Know exactly where personnel are located, with real-time visibility across your workforce. Better manage your cyber resilience, threat detection and cyber-crime strategies. 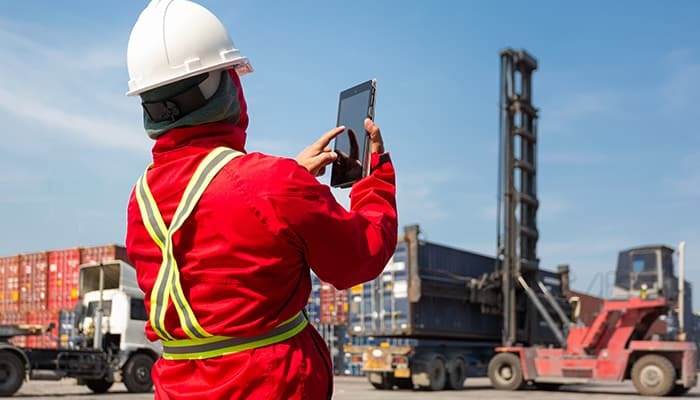 Bridging the digital divide and moving away from paper-based processes with a secure, connected workforce increasing collaboration and user-safety. Andrioid Enterprise Mobility + Security to centrally manage and protect an expanding field-force with integrated on-premises and cloud-based applications and services. Leasing is subject to credit approval and Anti Money laundering checks. Leasing example is based on a UK business trading for over three years. Rates for other countries outside of the UK will change. All lease agreements attract a charge of £140 + VAT documentation fee and £40 + VAT annual service fee. Digital transformation across industries. Airacom is leading the way in Enterprise mobility and critical communications. Deploying intrinsically safe mobile devices with instant businesses critical communications over any IP network across the industrial hazardous area.